Q: I have seen logging on private land, can you help? The Forest Practices Board does not have jurisdiction on private land, except for some woodlots and tree farm licenses. We recommend that you contact the Managed Forest Council at 250-386-5737 who may be able to help if the land is held by their membership. If logging is within city or Regional District boundaries then you could contact them. Otherwise, you might consider writing to your MLA. Q: Do you know why people are working outdoors when the fire danger is extreme? Q: Do you have information on former forest service recreation sites? Q: Do you have information on campsites located in BC? Q: Where do I apply to become a wildfire fighter? Q: I witnessed a forestry truck driving recklessly, who can I report this to? Q: Where can I obtain a permit to cut trees for firewood? Christmas trees? Q: How do I find out which company is logging in my area? And how do I know they have permits to cut down the trees? This information can be obtained through the nearest forest district office: http://www.for.gov.bc.ca/mof/regdis.htm . Q: What is the difference between a Special Report and a Special Investigation Report? A special report is issued by the Board if it wishes to comment publicly on a matter or if it is determined that an in-depth special investigation is not necessary. A special investigation is conducted by the Board to deal with matters of significant public interest that cannot be adequately addressed through a complaint investigation or an audit. Q: How do Board audits relate to certification? Every certification process requires the applicant to comply with local legislation, which in British Columbia includes the Forest and Range Practices Act and the Wildfire Act. The Forest Practices Board also determines compliance with the Forest and Range Practices Act and the Wildfire Act through its independent audits. However, the Board also audits many licensees that do not hold any form of certification. The Board does consider the results of certification audits in its own audits where it can. This can help reduce the amount of field work we have to do and may save money and time for us and for the auditees; however, only if certain specific conditions exist. Q: How do your audits get selected? Audits are selected randomly and not on the basis of location or licensee performance. Auditors randomly select an area of the province, such as a forest district. Then the auditors review the forest resources, geographic features, operating conditions and other factors in the area selected. These factors are considered in conjunction with Board strategic priorities (updated annually), and the type of audit is determined. The objective is to have a range of audits across the province that capture a variety of these different factors, such as different sizes and forms of tenures, different types of licensees, different geographic features and forest values at risk, and that are consistent with the Board’s current strategic priority themes or topics. At this stage, auditors choose the auditee(s) that best meet the objective. The audit selections are not based on past performance. For BCTS audits, a forest district within one of the 12 business areas within the province is selected randomly for audit. Q: How can I request an appeal? Appeals must be requested within a specified period of time, which means that the public must act quickly if they want the Board to consider an appeal. The Board can request extensions of time in appropriate circumstances. provide clarification or interpretation of important sections of forest practices legislation. The Board also considers whether to launch an investigation, rather than an appeal. In order to evaluate your request, the Board will usually notify everyone involved, including the official being challenged and the licensee. The Board may also gather additional information, including interviewing key people to determine whether to proceed with an appeal. If the Board does decide to launch an appeal, it does so in the public interest, not as a representative of the person requesting the appeal. However, the requesting person is kept informed and will have an opportunity for input into the Board’s arguments in the appeal and to observe the hearing of the appeal. For more information on specific appeals and the appeals process, please refer to the appeals section here. The Board can appeal an administrative penalty, a remediation order and a decision to approve a forest stewardship plan, woodlot licence plan, range use plan or range stewardship plan. The Board can also appeal cases where government officials fail to make a penalty determination or issue a remediation order. 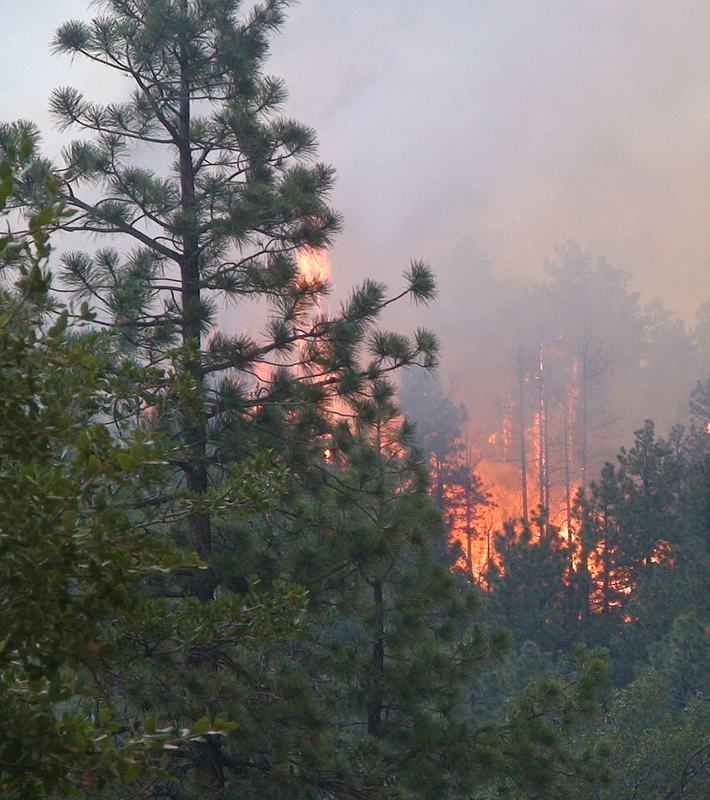 The Forest Practices Board can appeal certain decisions made by government officials under the Forest and Range Practices Act and the Wildfire Act. This includes determinations of non-compliance, penalties and approvals of plans for forestry or range operations. The Board can also join appeals launched by others (e.g., licensees) in order to make submissions on the case. Appeals are decided by the independent Forest Appeals Commission. Members of the public can ask the Board to appeal such decisions, or the Board can initiate an appeal without a request. The Board acts as an advocate for the public interest in these cases. Q: Does the Board always need a complaint before it can conduct an investigation? No – the Board may conduct special investigations to determine compliance with the legislation and the appropriateness of government enforcement under Part 6 of the Forest and Range Practices Act and under Part 3 of the Wildfire Act. Special investigations deal with matters of significant public interest (e.g., marbled murrelet habitat, grazing cattle near streams, lakes and wetlands, establishment of objectives to protect water quality from forestry operations, post-fire site rehabilitation, high grading of cedar, etc.) that cannot be adequately addressed by a complaint investigation or audit. The Board’s conclusions and any recommendations are published in a report that goes to the public and to the government. Q: What happens after I file a complaint? Once a notice of complaint has been filed, an investigator is assigned the file. The Board sends notification of complaint to all parties involved, and contacts participants to discuss the issue in more detail, identify possible solutions and determine whether the Board has the authority to deal with some or all the issues. The investigator will try to resolve the issue between the participants regularly throughout the investigation process. For more information on the complaint process, please refer to our Complaint Investigation Reference Manual . Q: Who can I contact to discuss my concerns? Q: If I see something I don’t like in the forest, do I come to you? Yes – if you notice any practices in the woods that concern you, call the Forest Practices Board and one of our investigators will help you. If the problem has to do with provincial forest practices legislation, the Board may investigate and could make recommendations if warranted. Q: Do you look after private land issues? No. The Board only has jurisdiction on Crown lands, with the exceptions of some private land in woodlots and tree farm licences. Q: What is the Board working on currently? To see what the Board is working on, please refer to the What We Are Working On Page. Q: How are we doing? What are your audits and investigations finding out? We have seen significant improvement in forest practices at the cutblock and site level since the late 1990s. Our work often shows this. But there is still room for improvement in forest management at the landscape level, for example with addressing species at risk and biodiversity. Q: If you don’t have any enforcement authority, how can you be effective? The Board makes all its reports and recommendations public, including to the media, which puts pressure on the forest industry and government to act in response. Q: What happens if the Board’s recommendations are not followed? If the Board is not satisfied with the response to its recommendations, it can raise the matter with the Minister of Forests, Lands and Natural Resource Operations or, further, make a report to Cabinet. Q: Can the Board order forest companies or the government to take action? No – the Board cannot stop work or require remediation. But the Board’s experience has been that industry is quick to embrace changes and improve practices as recommended by the Board. Government also responds to our recommendations and has made improvements as a result of Board work. Q: Is the Board part of the Ministry of Forests, Lands and Natural Resource Operations? No – the Board reports to government and to the public on the state of forest practices, but it is an independent agency and does not take direction from the Ministry of Forests, Lands and Natural Resource Operations or any other government ministry. The Ministry of Forests, Lands and Natural Resource Operations, the Ministry of Environment, the Ministry of Agriculture, the Ministry of Energy and Mines, or the Ministry of Jobs, Tourism and Innovation can be the subject of complaint investigations or audits by the Board. Q: How can you be independent when the government funds you? The Board is not funded by or a part of a ministry, therefore does not report to ministers. We provide our reports and recommendations to the resource Ministers (typically the ministers of Ministry of Forests, Lands and Natural Resource Operations, Ministry of Environment, Ministry of Energy and Mines, and Ministry of Agriculture), but these reports and recommendations are not approved or vetted by anyone prior to public release—the public get our reports at the same time as ministers. The Board operates independently and audits and investigates government ministries as well as industry. Regardless of who’s on the Board, or who’s being audited or investigated, the Board’s work is defined by the standard that all forest operators must meet, which is the Forest and Range Practices Act and the Wildfire Act. The legislation is applied fairly and equitably to all participants in audits, investigations and appeals. And our reports show our independence – many challenge government as well as industry. Q: Who is the Board? Who appoints the members and how are you funded? The Board is made up of eight people—a full-time Chair and seven part-time members. Board members are appointed by Cabinet, based on their background and experience in forestry related areas. In addition, the Board has 20 full-time staff members, representing a range of professional backgrounds (e.g., foresters, biologists, lawyers, accountants). The Board is not a stakeholder board—it does not seek to represent sectors. The Board is funded directly by Treasury Board—not through a ministry.